September 2010: The 7th Annual SCDS Dance Residency Program hosted Josh Beamish, Artistic Director of Move: The Company. Josh collaborated with local performer Sylvain Brochu in the creation of Dendrochronolgy, part one of a five part series, choreographed by Josh and performed by Sylvain. Josh also hosted a fantastic workshop for local dancers. The Residency ended with a well-attended performance of Dendrochronolgy, choreography performed by the workshop participants, and a number of pieces performed by Josh and members of his company Heather Dotto and Jacqui Lopez. 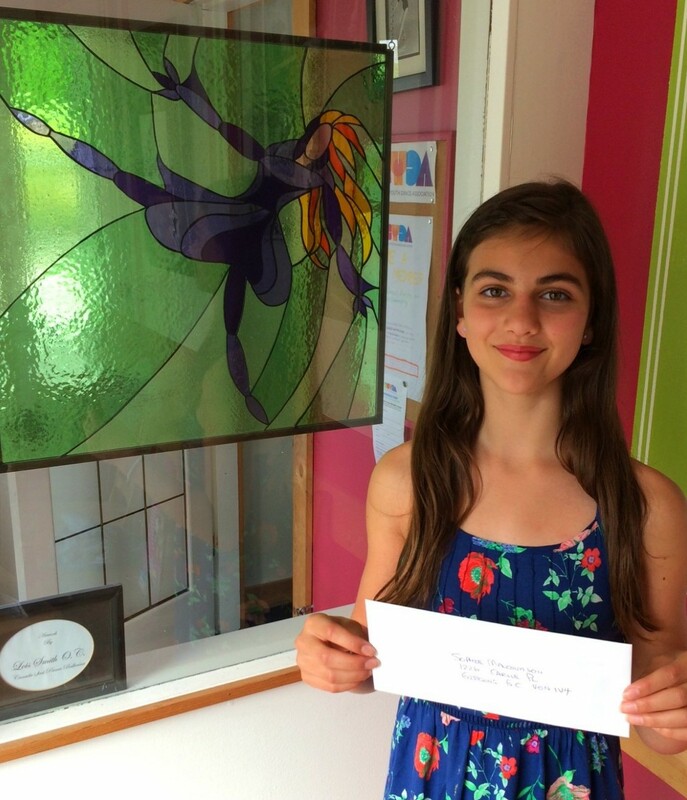 July 2010: Sunshine Coast dance student Courtney Hobson was awarded the Shelley Cromie Scholarship Award in July. 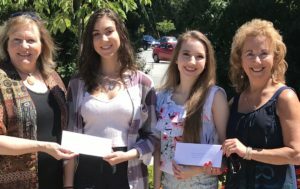 The scholarship funds allowed Courtney to attend the summer dance intensive training program at the Goh Ballet School in Vancouver. June 2010: The SCDS provided financial assistance to local dancer/choreographer Lindsay Prentice, for her show Skeleton Woman as part of the 10th annual Society of Performing Arts Series at the Heritage Playhouse Theatre. This was a remarkable performance featuring more than 40 local dancers, presented to a sold out audience. 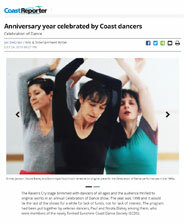 May 2010: The SCDS presented Vancouver’s The Source Dance Company at the Raven’s Cry Theatre, Sechelt, featuring the Coast Academy’s Pre Professional dancers. The near sold out matinee and evening shows were proof that there is a dedicated dance audience on the Sunshine Coast.